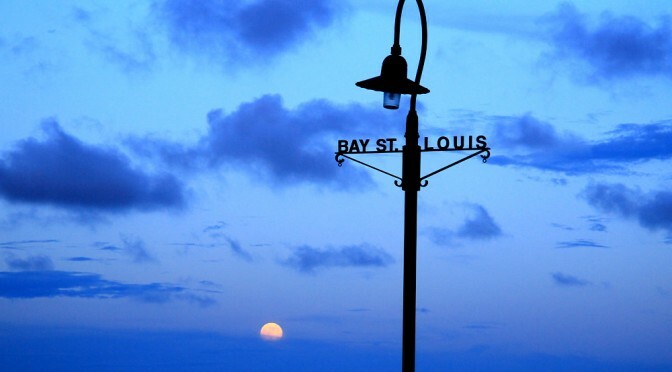 Iconic Bay St. Louis street light as moon rises over the Gulf of Mexico. Bay St. Louis street lights are now up all along Main Street in the Bay. They are installed around much of the town. These street lights are often decorated with lanterns and other items to really bring out a festive environment in the city. Bay St. Louis is located on the Bay of St. Louis and the Gulf of Mexico. 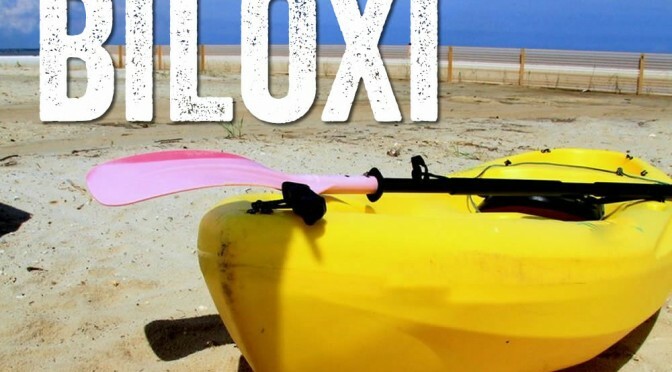 It is a scenic beach town next to Waveland, Mississippi. Stop by the beach front and overlook the water from a popular hangout like The Blind Tiger or grab a scone at Serious Bread and stroll through the city. The Bay, as locals call it, has great bike paths and a great line of shops on Main Street. There are several oaks on Back Blvd that have been carved into statues. Many tourist stop for short weekend visits and enjoy walking around around sunset.